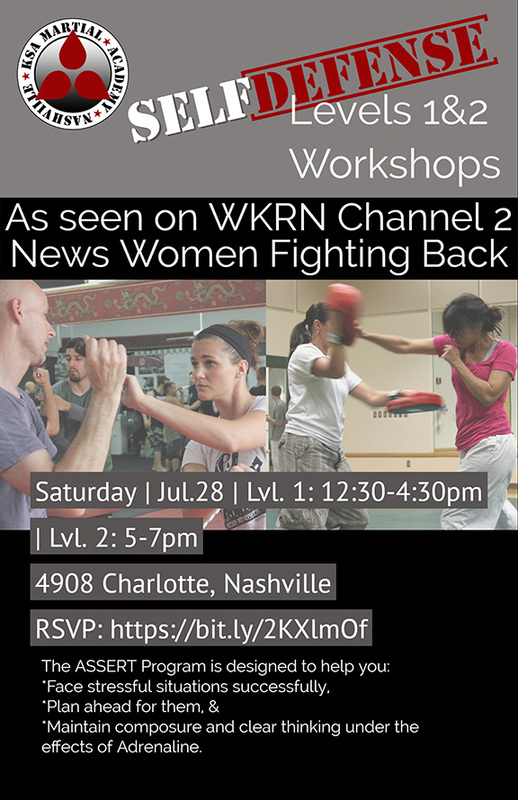 As seen on WKRN Channel 2 News’ Women Fighting Back Special! KSA Martial Academy is offering a 4-hour Level 1 ASSERT Empowerment and Self Defense workshop this coming Saturday, July 28thth, from 12:30-4:30PM and a Level 2 Self Defense Ground-work from 5-7PM! Once the Mind-Set is changed, the skills can be quickly and effectively applied. This is not a Martial Arts Program! It has a completely different focus and is geared toward the whole family! ASSERT Empowerment and Self Defense Courses are centered on the development of the Mind-Set in order to employ the Skill-Set. Located at 4908 Charlotte, within the Cohen Law Building, KSA Martial Academy, or KSAMA for short, is ideally situated and uniquely qualified to provide this particular service to the area. Two of the founders of this local school are the creators of the award-winning ASSERT program, which is currently in regular use by numerous South Florida Public and Private schools, several organizations within the University of Miami, in-patient eating disorder clinics, nationally recognized at-risk and Foster Care youth groups, and countless families and corporations as a means of self-defense education, team-building, and familial and social group bonding experiences. The up-coming workshops require pre-registration and will be taught by the creators of the program – an opportunity currently reserved for Instructors seeking certification to teach the program. The program is well known for its fun and informative curriculum, providing physical and personal skills that are immediately applicable. Potential participants are encouraged to bring family members of all ages and physical capabilities. The workshop is $60 per person, or $50pp if you register as a group of 2 or more, for Level 1. 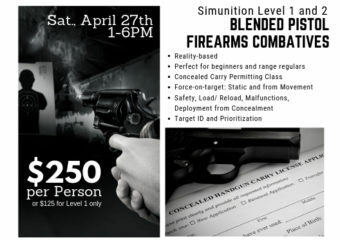 Call if you are interested in Level 2 or in booking a spot to train both workshops on the same day. Please wear comfortable clothing. Pre-registration is available below or by clicking here!